Elliott McClain has been associated with the VSA TN Young Soloist program since he was in the 7th grade at the Tennessee School for the Blind. 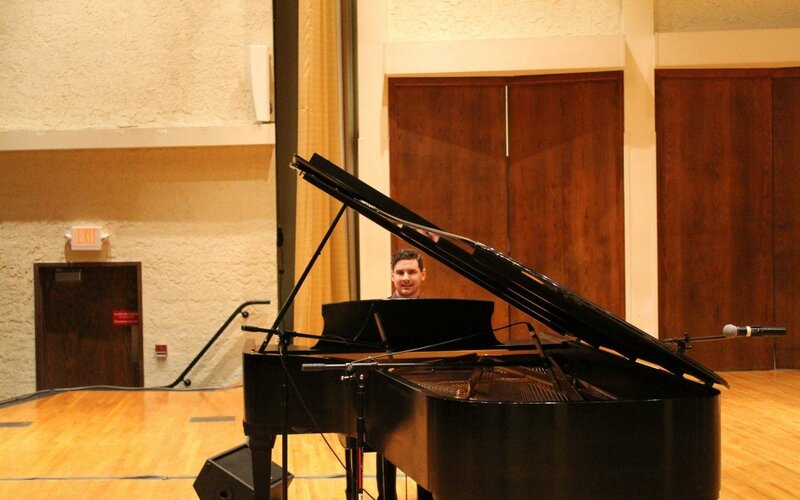 When Elliott was a Freshman in high school, he began working with a jazz trio called Lake Rise Place, which won the VSA TN Young Soloist competition 4 times, performed at the Ryman as well as several top venues, and represented TN at the International VSA Festival in Washington DC. The group performed for numerous VSA TN functions until the performers went their separate ways in college. However, Elliott continued to participate in the the VSA TN Young Soloist program and won as an individual performer in 2016. We are pleased to announce that Elliott has just become the first musician from Tennessee to be selected as a winner of the VSA International Young Soloist Program. As a winner of the 33rd annual competition, he will spend May 24 & 25 in Washington DC in a full array of pre-professional activities including rehearsals and round table discussions with music professionals. The two-day intensive culminates with a performance on the Kennedy Center Millennium Stage on May 25 at 6pm (Eastern time). The performance is free and open to the public and will be streamed online at kennedy-center.org/video/upcoming. Ellliott is currently a 23 year old graduate student at Belmont University studying commercial music. Blind since birth, Elliott specializes in jazz piano. He will be joined on stage by the other 3 winners who include Kohlin Sekizawa (a classical pianist from California), Natalie Sheppard (a mezzo soprano from Ohio), and Jessica Tucker (a classical saxophonist from Nevada). The Young Soloist competition is open to musicians ages 14-25 with any form of disability. It is also open to ensembles as long as one member has a disability. The State winner receives a cash prize, mentoring, studio time, and paid performance opportunities as well as representing TN in the international competition. VSA Tennessee congratulates Elliott. This has also been a long term goal of VSA TN to see one of its Statewide winners win the International Competition, which was begun by Ambassador Jean Kennedy Smith 33 years ago.